I did a big Update in Jan 2014. 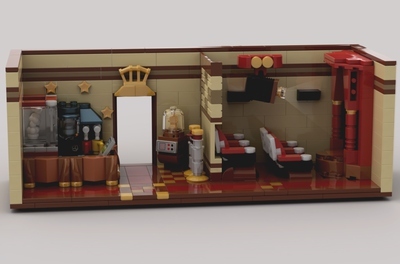 I made a Lego kitchen based on the tv show: "The Golden Girls". It's where the magic of Blanche, Rose, Dorothy and the lovely Sophia all came together. The Golden Girls is an American sitcom, created by Susan Harris, that originally aired on NBC from September 13, 1985, to May 9, 1992. Starring Bea Arthur, Betty White, Rue McClanahan and Estelle Getty, the show centers on four older women sharing a home in Miami, Florida. 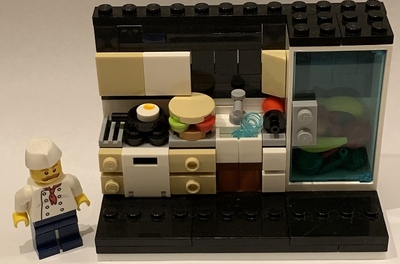 - A diorama of the Kitchen area! Full stuffed with cooking supplies, food, drinks and many more. Everything can be taken out easy. So you have full access to the complete set. And many more to see. Just check out the pictures! 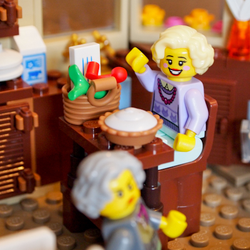 The Lego Golden Girls Kitchen..
- If you love the Golden Girls! 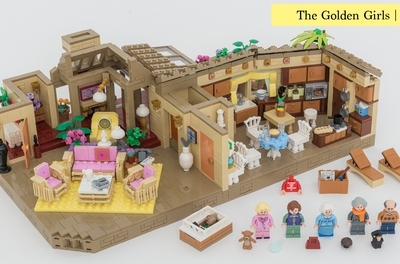 - If you don't love the Golden Girls, but really like a LEGO Kitchen! - If you love all the details and accessories! 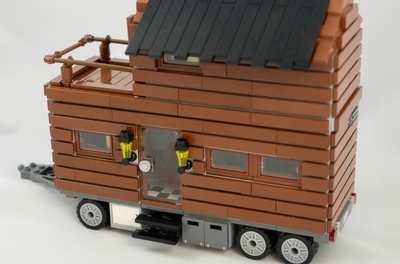 - We need more Female and Older Minifigures! - It's different from the former great winning CuuSoo projects! - Because we get BETTY WHITE as a Minifigure :-) ! Thanks for Voting and writing a comment.. I think the girls are ready for some Cheesecake!